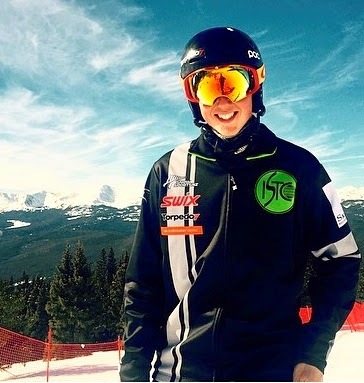 Duncan Campbell's Blogsite: ISTC New Race Jersey! Well it's been a tough few days - had a bit of food poisoning I believe, takes it out of you big time. Occupational hazard while travelling - I always try and purchase good high nutritional food to fuel up on but sometimes you get hit. Ha - had the folks worried with the first shot - but they are happier now the after shots out - what a difference a couple of days make!! and being back on the slope!! As you can see we finally got our new squad race shirts and being the only Kiwi on the team I got a couple of differences - silver/white front stripe and fern on the arm. Pretty happy with it - anyone agree! Now to find a race to give it a test run. Bad v Great! no comp on that.